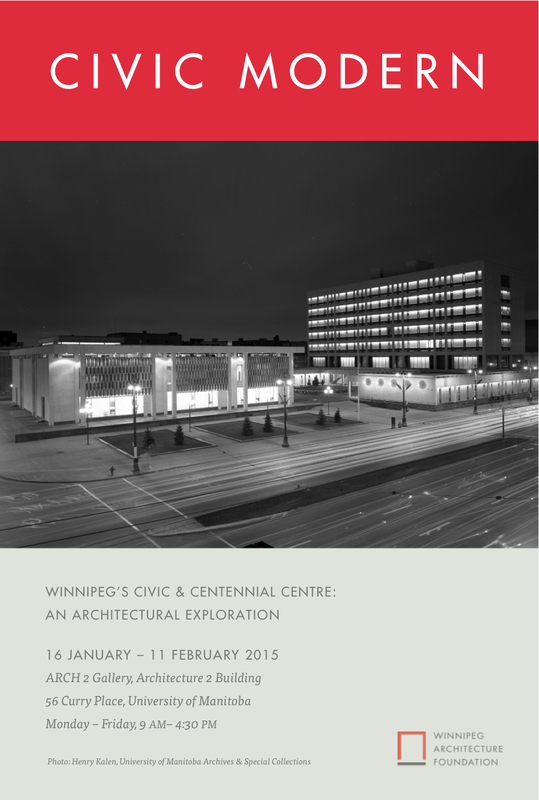 "Civic Modern" examines the social, political and architectural history of Winnipeg's Civic and Centennial Centres as they reach their fiftieth anniversary. In 1957 Winnipeggers voted by a wide margin for a new City Hall. Less than ten years later, the city witnessed the construction of not only a new City Hall, but a massive complex of civic and cultural facilities, one of the largest such ensembles in Canada. The exhibit includes original sketches, artefacts, and photos from noted architectural photographer Henry Kalen.